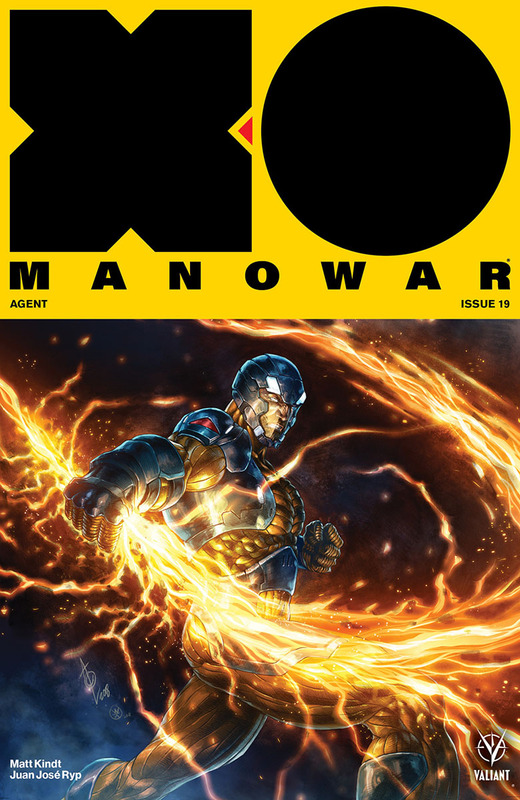 Valiant Entertainment is proud to announce an explosive new story arc for the publisher’s critically acclaimed X-O MANOWAR series: “AGENT,” starting with X-O MANOWAR (2017) #19! Beginning on September 26th, Eisner-nominated writer Matt Kindt (ETERNITY) and incendiary artist Juan José Ryp (BRITANNIA) install Aric of Dacia as an operative of the Global Agency for Threat Excision to face off against a fantastic new world of gods, myths, and heroes! 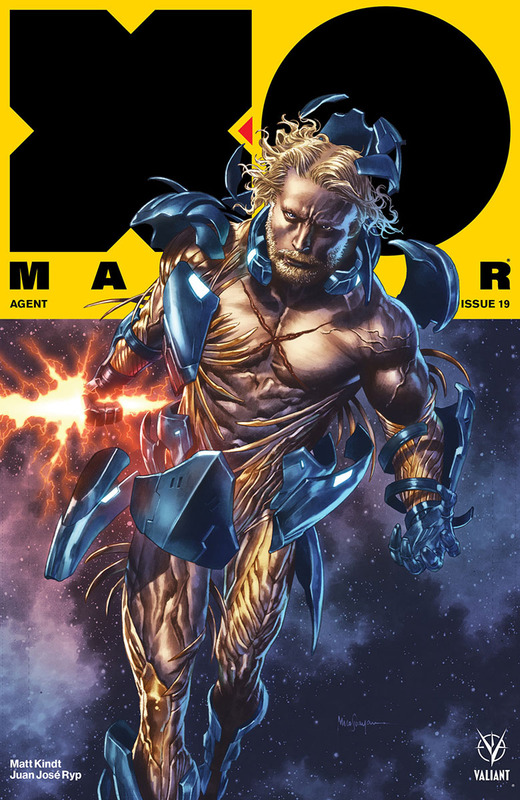 Featuring the return of characters from ETERNITY, the seminal experiment in cosmic storytelling, X-O MANOWAR #19 will bring two of Valiant’s most beloved science fiction epics together for the ultimate meeting of space-faring warriors! 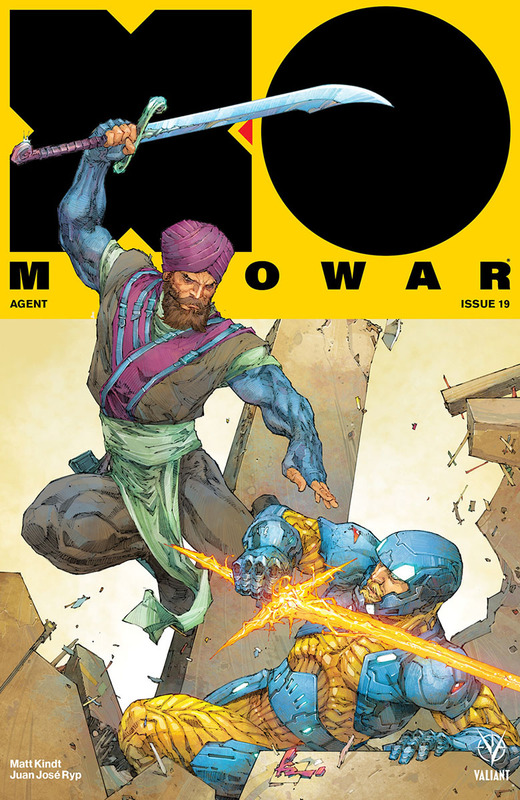 On September 26th, worlds collide as New York Times best-selling writer Matt Kindt (DIVINITY, Grass Kings) and dazzling artist Juan José Ryp (NINJA-K) bring a new plane of existence crashing down upon our own in a brand-new jumping-on point for 2017’s best-selling series – featuring covers by Kenneth Rocafort (The Ultimates), Alan Quah (Orphan Black), Mico Suayan (BLOODSHOT SALVATION), and Renato Guedes (Wolverine)!